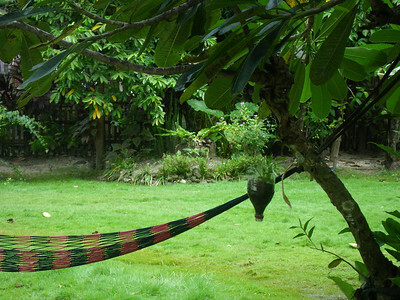 White Beach de Boracay Resort is made up of two kinds of accommodations. 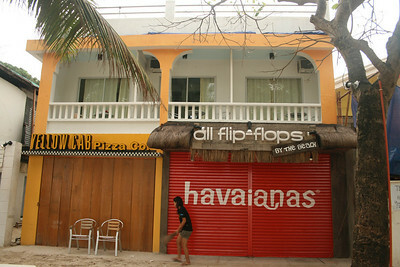 The first is beachfront, right on top of Yellow Cab, and is newer and more expensive. The second one is 2-3 minutes away from the beachfront rooms but is less than a minute's walk from the beach. The landmarks near the alleyway used to get to the garden-view rooms include Mañana Restaurant (supposedly best Mexican place in Boracay) and Starbucks. Both are located in Station 1, where the sand is finer and is very near D'Mall, where shopping and dining is lucrative. Contacting White Beach is pretty easy, as they have a YM pingbox in their multiply site. After depositing your downpayment, they will e-mail an acknowledgment reply with rules and other terms relative to your stay. Checking-in means that you direct your tricycle driver to take you to Station 1 on the main road and to let you off at Radio Boracay, cross the road then walk up the alley towards the beach and then turn left to where Yellow Cab is. Or you can also get off in front of Crown regency on the main road, navigate the alley across and turn right at the beach to where Yellow Cab is. You pay the remainder of your balance before you are shown to your room. 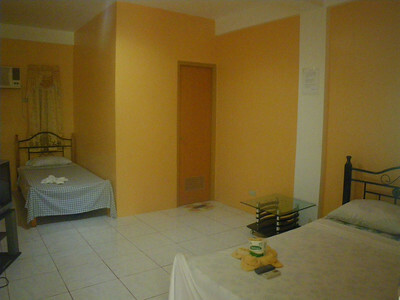 We got our room for P1,200 (off-peak rate) and it was big enough for 3 persons, with a queen-sized bed and a single bed. There was hot water in the shower (but we couldn't increase the volume of water coming out of the showerhead) and cable TV reception is not that good (some channels had static). The room was clean and very spacious, but we also had an issue with the lighting in the room (because it was very dim and muted). At night, coming to and fro is not an issue because the alley and garden are both well-lit. Being tucked away from the main beach makes the garden-view room we stayed in perfect for resting. It's generally quiet there. 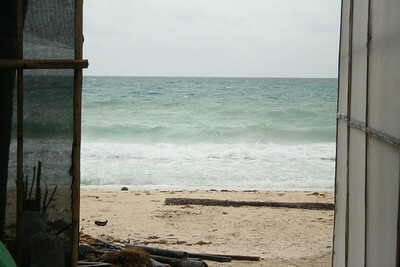 But White Beach Resort staff are on hand in case one needs anything because they have quarters at the back. The rains, when we were there, brought about two hassles. The flood (but at least it's not muddy water, it's really just rain water that's pooled in the area, and it actually comes and goes depending on how heavy the rain is, and whether it's high tide or not) in the surrounding area and the leak inside our room. They were not bad leaks even, but one was directly over the bed (near the edge) so we used my son's pail to collect the drip. We didn't ask the staff for a change of beddings but we asked for extra towels to use. They also provided a small bar of Safeguard soap. The trash can is inconveniently located outside the room, at the porch, but it was still the wisest place for it to be to avoid ants and flies. They also provided a thermos of hot water and mugs every morning. And they cleaned out the trash every other day. And since there weren't anybody checking in after us, they allowed us to leave our stuff in the room to have lunch before we checked out officially at 1 PM. And after our stay, I got a text message from Mr. John Tupaz asking about our stay and wishing us a safe journey. I seem to have mentioned a lot of things that might scare other clients off. Still, I actually would highly recommend the place for other budget travellers like us. Depending on one's comfort levels, of course, I still think that the resort is a good find and the garden view rooms preferable, specially during peak season where the beach itself must be noisy and very crowded. Plus, I appreciate the fact that the resort staff put sand & gravel sacks for us to use going to our room, considering that it must have been a lot of effort when we were the only occupants they had in that area. Plus, they did offer us the use of their beach-view room for two nights (till the intended occupants arrive) but we opted not to be displaced in the middle of our vacation. Spacious siya ha, in fairness and nice place. If it wasn't for the flooding, perfect na:-) Lam mo Mec, when we were there in Boracay last month, it rained almost everyday too. 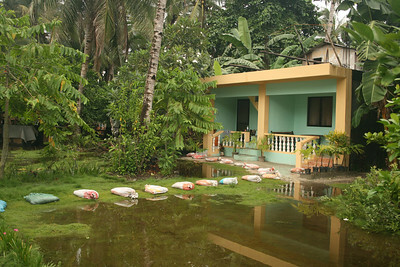 Mostly during the afternoons, and one thing I noticed tlaga, every single guesthouse around us where close to being flooded, Taj lang hindi. Nice tlaga sila. Maybe they really made sure they are ready for the rains. Elevated kasi sila. Ganda ng view ng White Beach ha at may hammock pa :-) Were you able to get a discount?